is a community-driven iStrategy (Implementation Strategy) dedicated to preserve in-place residents and small businesses in redeveloping areas. Raccoon Hogg CDC was officially established in 2011 as the information management and research collection organization designed to remedy the systemic deprivation and oppression of indigenous people, specifically on, but not limited to the Gullah Geechee culture on Sapelo Island, Georgia (SIG®) and is named after 2 of the 13 original Ancestral Gullah Geechee Settlements, Raccoon Bluff & Hogg Hummock on SIG. The Raccoon Hogg CDC was established to plan, develop, evaluate and analyze reliable strategies for the regeneration of indigenous cultures. We aim to blend Gullah/Geechee Culture with Economic Development for a sustainable community, while preserving the Culture and the Environment. Gullah/Geechee culture is made of African Americans who live in the Low Country region of the Southeastern United States. The Gullah/Gechee people are known for preserving more of their African linguistic and cultural heritage than any other African-American community in the United States. 12 STATES IN THE SOUTHEAST REGION OF THE U.S. The Gullah/Geechee Cultural Heritage Corridor is home to one of America's most unique cultures, a tradition first shaped by captive Africans that were enslaved and brought to the southern United States from West Africa and continued their traditions in later generations by their descendants. Gullah/Geechee culture is such an important thread of our American fabric that in 2006 U.S. Congress designated, the Gullah/Geechee Cultural Heritage Corridor which extends from Wilmington, NC in the North to St. Augustine, FL in the south. 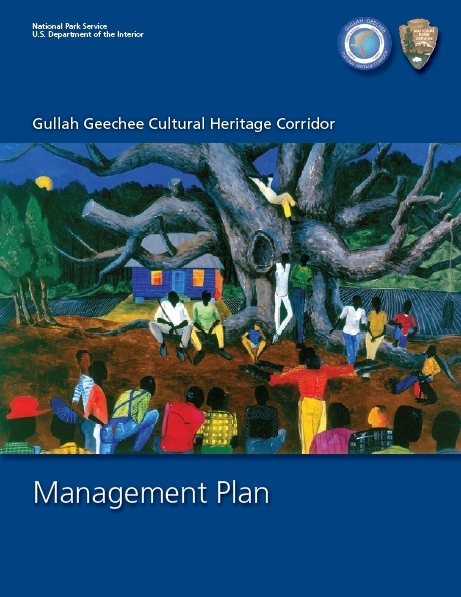 The Gullah/Geechee Culture Initiative is a great educational resource to learn more about the culture of the last-in-tact Gullah/Geechee community on a Georgia Sea Island.